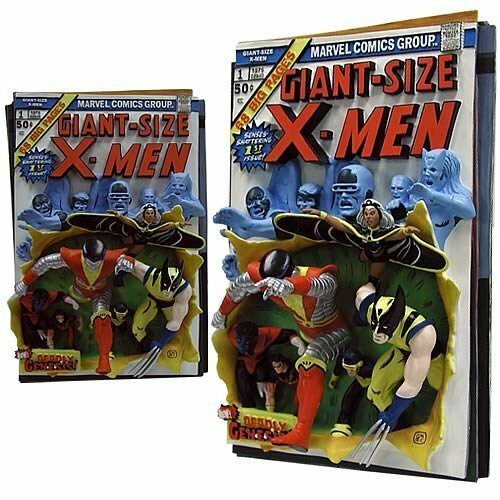 I just saw the Marvel Replicas Giant-Size X-Men First Apperance Comic Cover 3D Poster on Ebay for $89 , so I thought I’d let you guys know you can save some money by getting it for only $26.99 on Amazon ! This is an awesome collectible that is an 11 inch (28 cm) by 7 inch (18 cm) resin replica of the first appearance of the new X-Men. This is apparently a limited edition piece though I don’t know of how many.